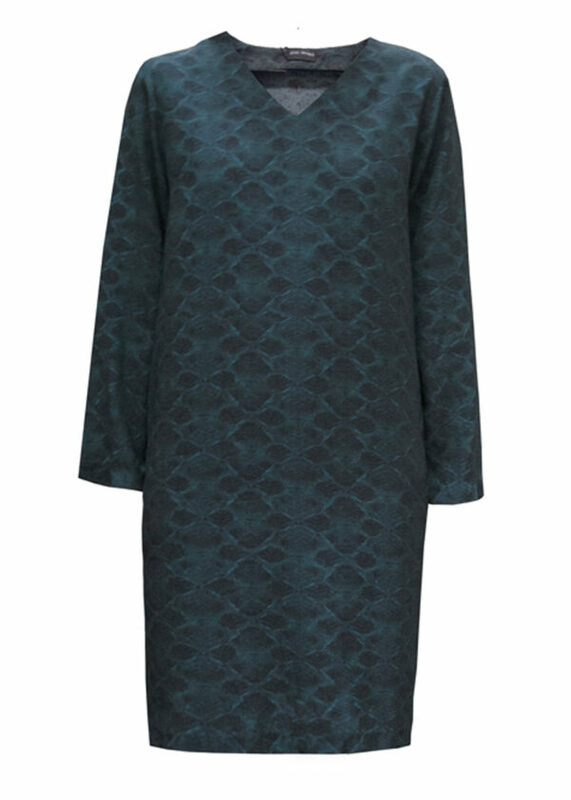 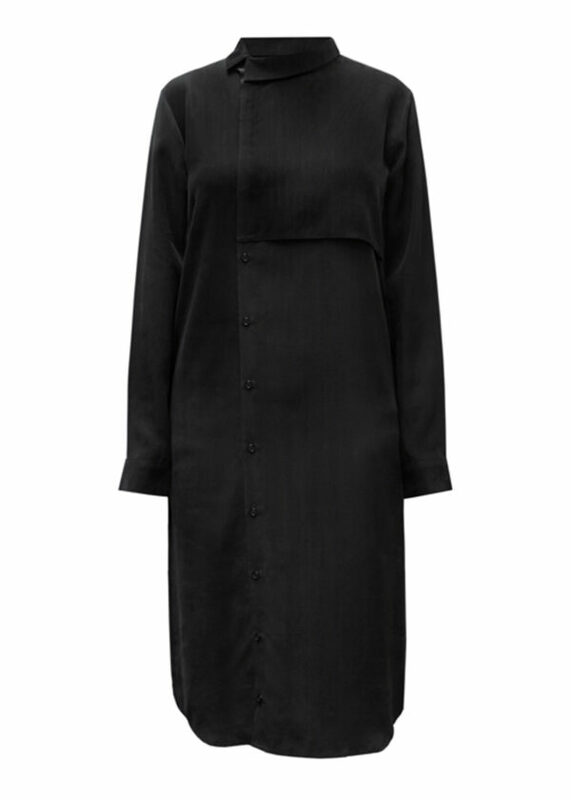 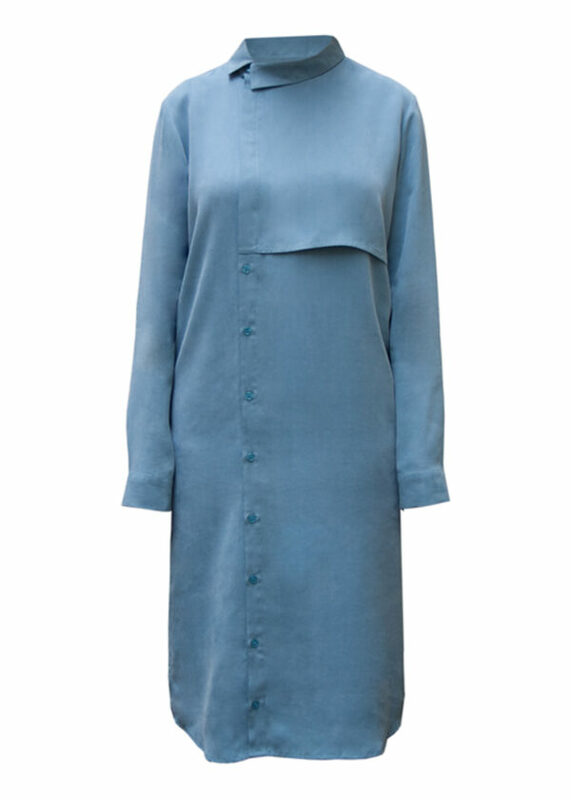 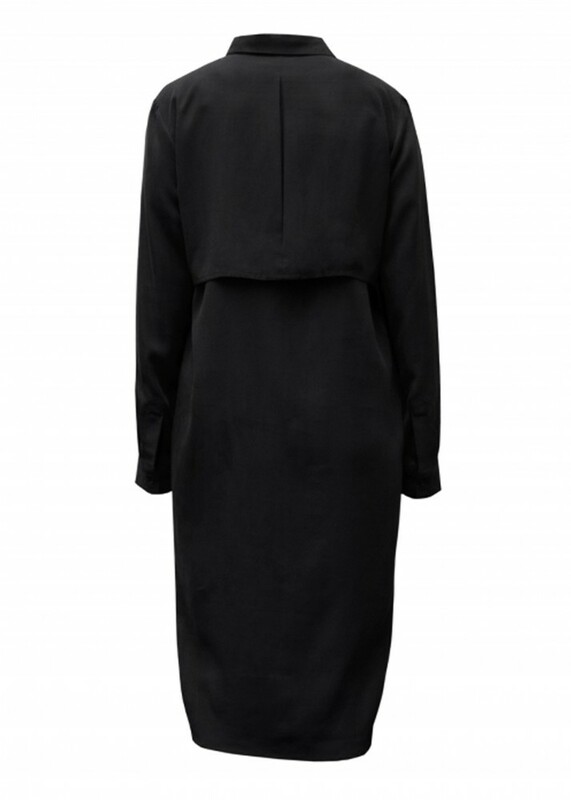 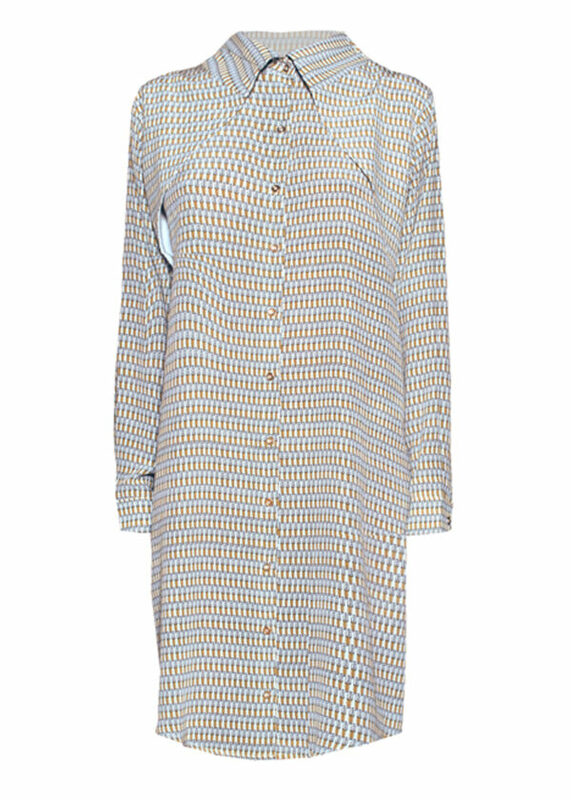 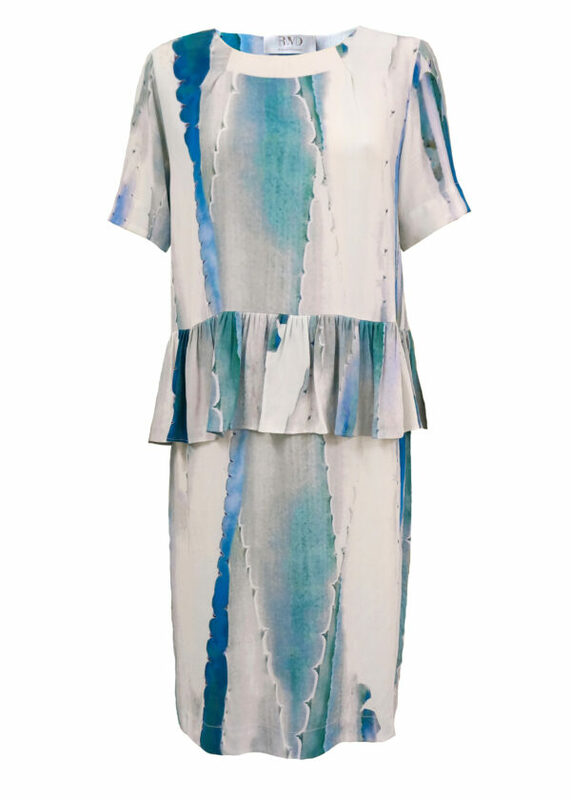 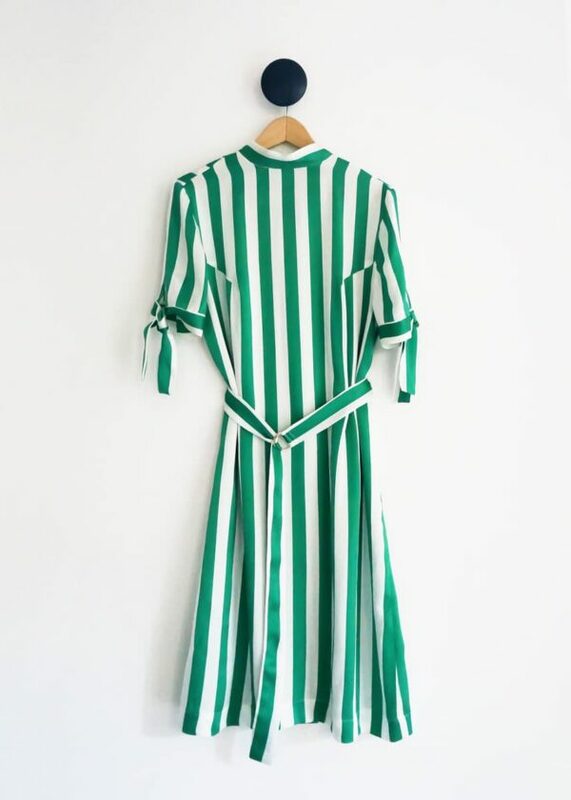 Kisho dress is a shirt dress with a straight down fit and midi length. 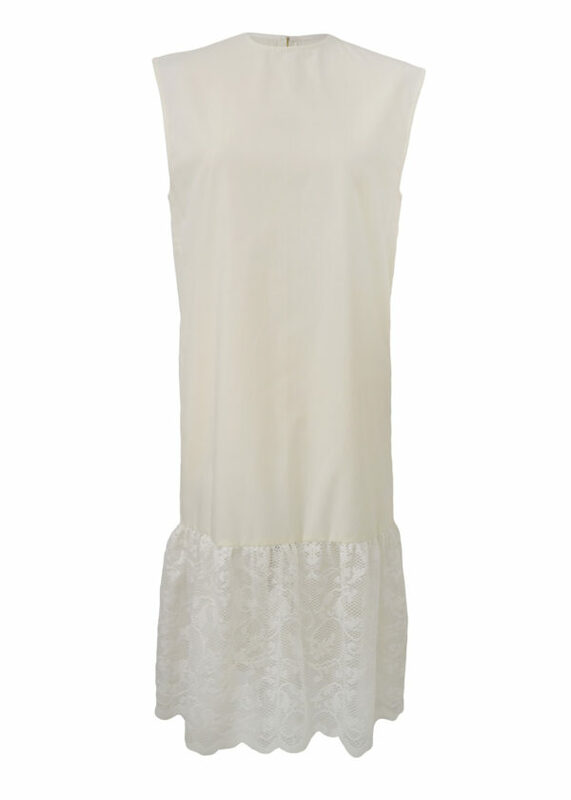 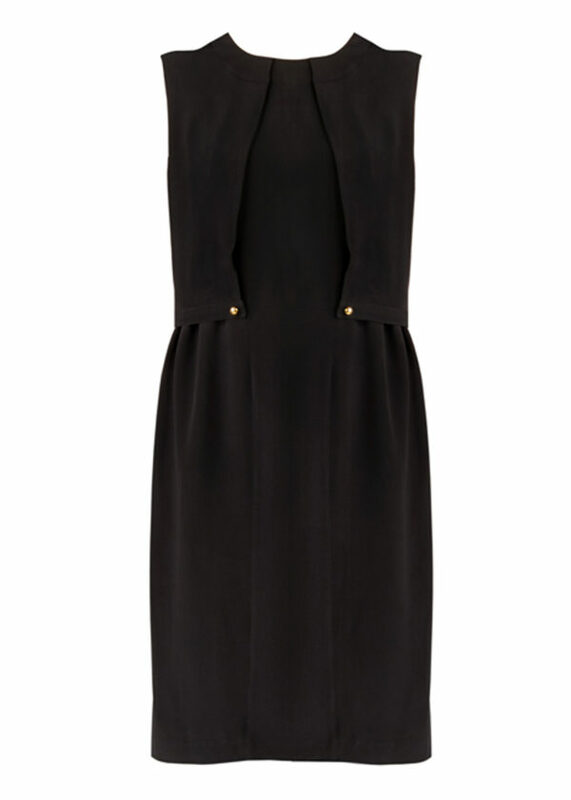 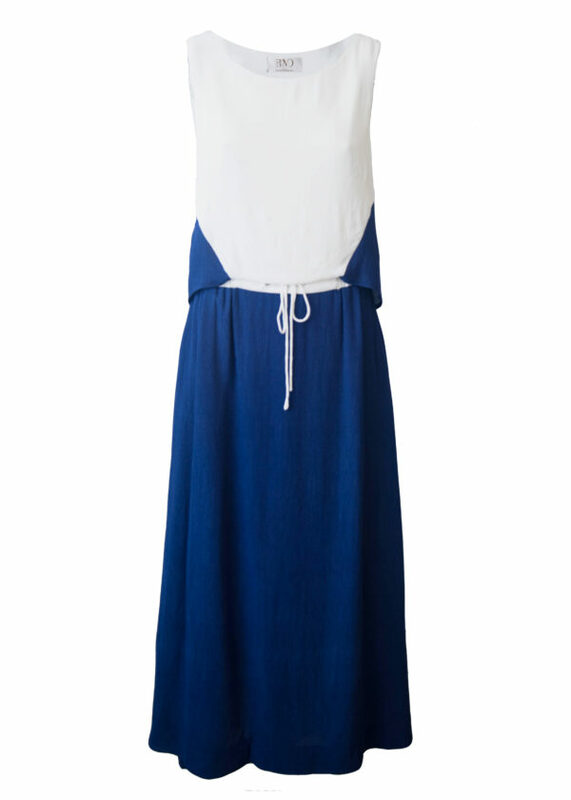 The dress has an asymmetrical collar and coustore where the buttons are hidden in the top part. 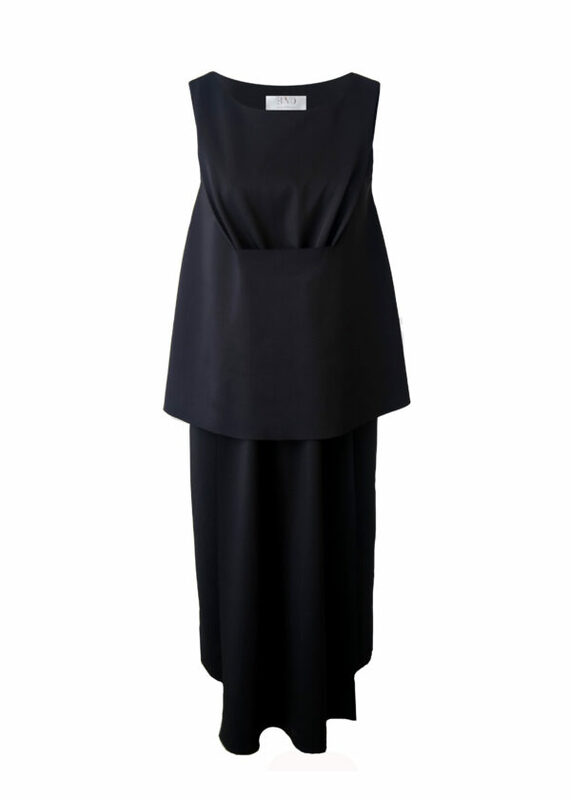 The dress has a layered detail in the front and on the back the dress has an extra layer with a pleated detail in the center.